All I could think of is, "What would Edward Hopper think?" Nobody was around, it was DESOLATE! 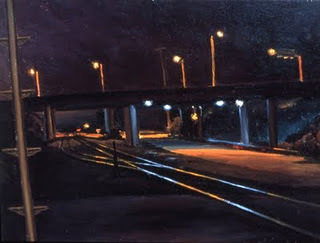 Perfect for my thesis of "unsellable" plein air nocturnes. 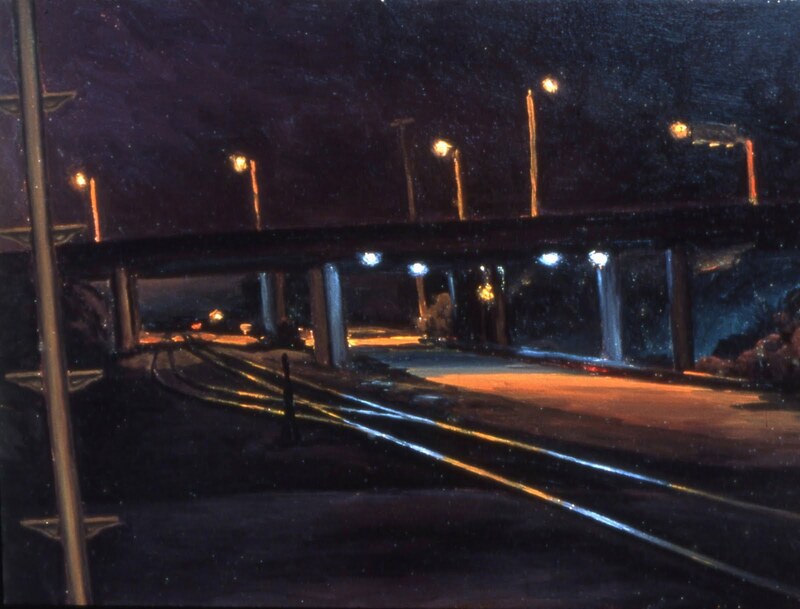 A year or so after this painting was created, a Tanker truck exploded on this freeway overpass; blocking the 101 northbound freeway for a few days. Where I live (Carpinteria) was isolated, once again.